Save the date for #GivingTuesday, a global day of giving fueled by the power of social media. 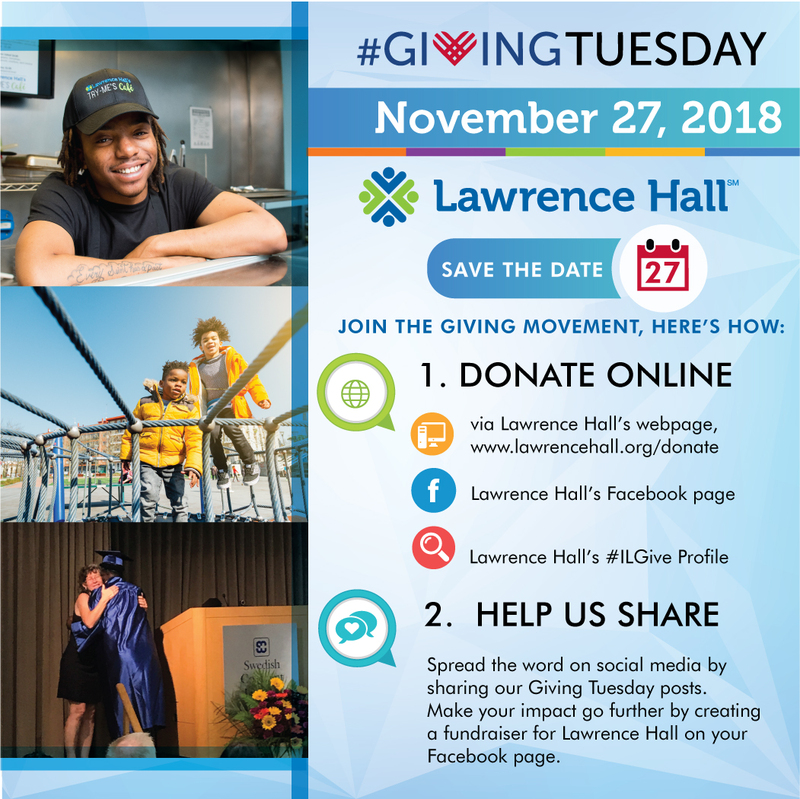 Support Lawrence Hall on Tuesday, November 27th and use your power of ONE to create positive change for our Chicago communities, ONE youth and ONE family at a time. Help us start spreading the word on social media by sharing this post!